MINNEAPOLIS, MN (CelebrityAccess MediaWire) — A ceiling collapse at the historic music club First Avenue in downtown Minneapolis left three people injured and the club shuttered for a safety evaluation. 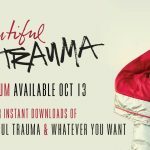 According to the Minneapolis Star-Tribune, the band Theory Of A Deadman was performing their headlining set at the venue at about 10 p.m., when a 30-foot-by-30-foot section of the ceiling gave way, damaging water pipes and dropping debris onto the dance floor and DJ booth towards the rear of the venue. About 1,000 patrons were evacuated from the venue and 3 people were transported to area hospitals via ambulance for injuries that were reported to be minor. The nationally recognized club, which first opened in 1970s, has played host to a huge variety of bands, including Joe Cocker, U2, Eminem, Tina Turner, Black Flag, The Ramones, Depeche Mode, Bo Diddly, Lucinda Williams, Metallica and Prince. 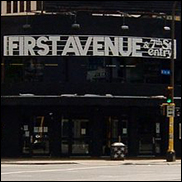 A spokesperson for the club said via Twitter that First Avenue, and its performance spaces including Entry, Record Room, & The Depot, would be closed for at least two days while structural engineers evaluate the cause of the collapsed roof and the safety of the building.